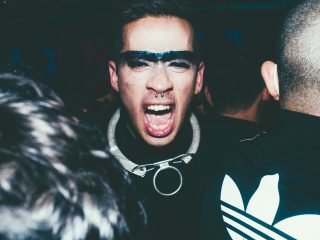 Here are our fave spots to say adieu to 2017 and welcome in the new year. Chanou has a style all of its own. You notice it the very moment you enter and face the huge colorful canvas that greets each and every customer. 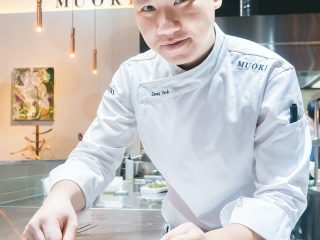 The artwork is created by owner-chef Chanoh Lee and he changes it nearly every week to reflect his mood and inspirations. 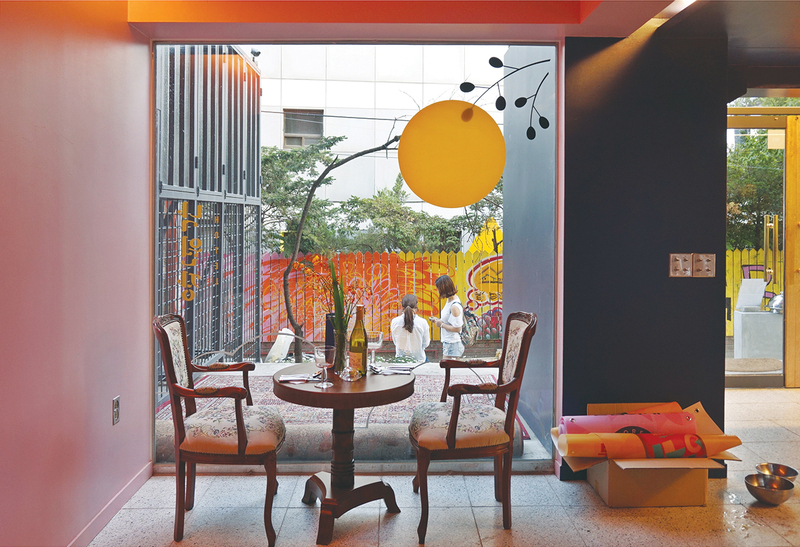 Chanou is filled with color: from the brilliant blue and burnt orange velvet furnishings to the gilded brass accents to the artwork from Chef Lee and his friends found everywhere. The restaurant has been featured on design magazines and media for its unique interior design. 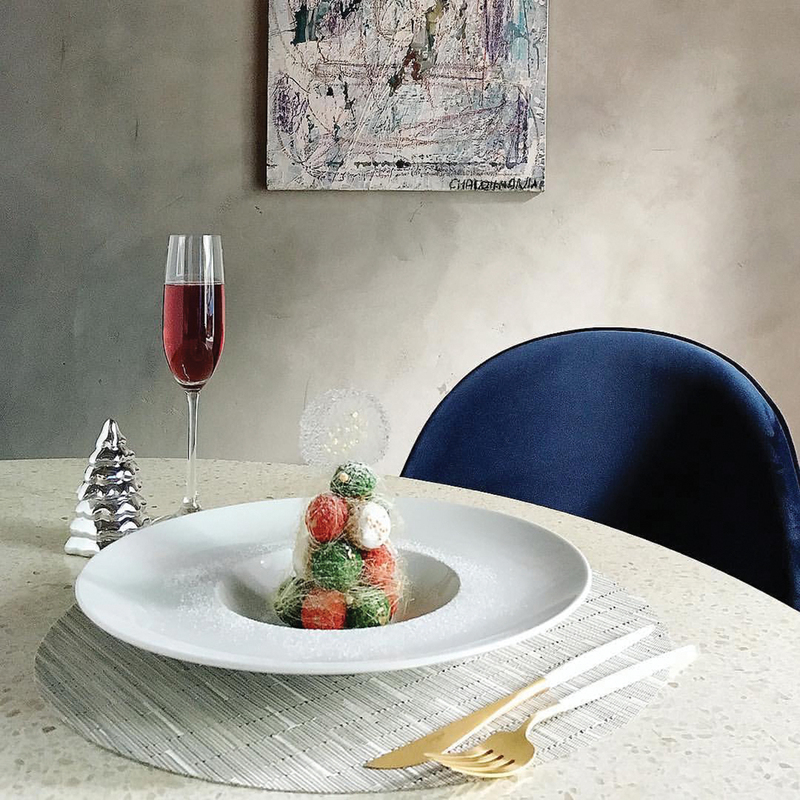 It’s a great choice for holiday celebrations as the food is just as playful and creative as its decor. 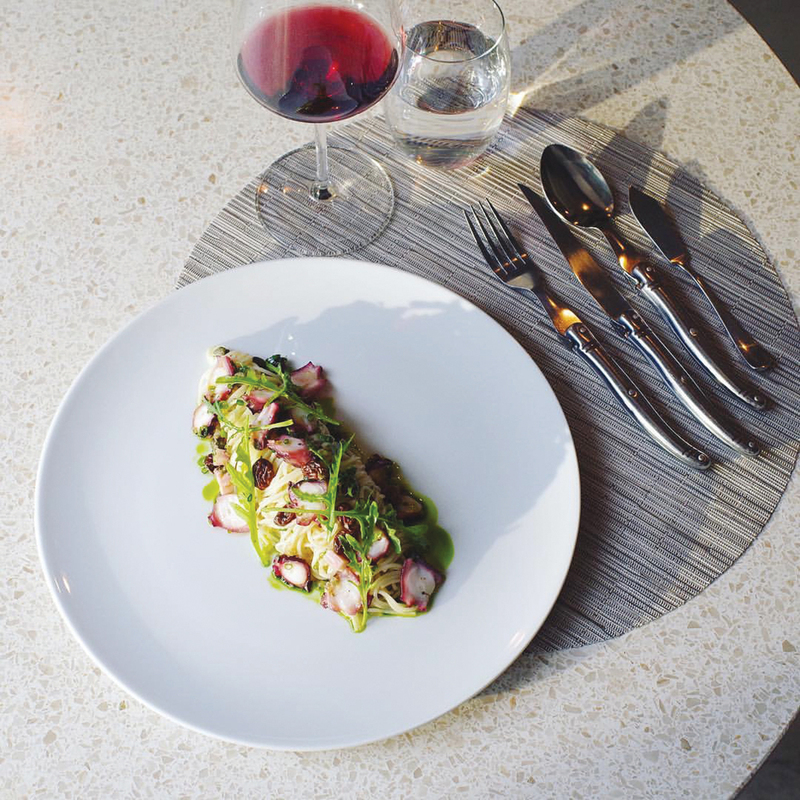 Try their signature carpaccio langoustine, a thing of beauty. A light lemon-butter sauce is punctuated by a bright orange disc of carrot puree. Wedges of roasted corn sit on a bed of bright green pea puree and small clusters of peas peek under pieces of langoustine. You’ll come away understanding Chanou-style. 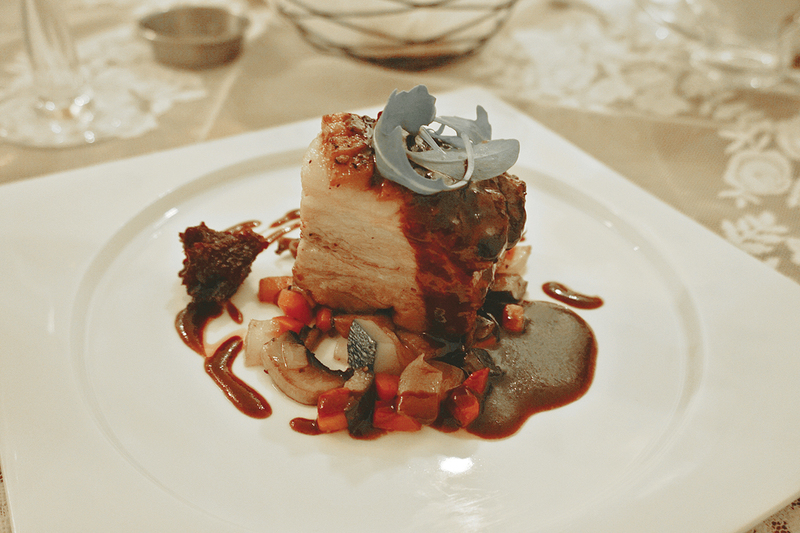 You can enjoy the flavors of Swiss cuisine at Alt Swiss Chalet. 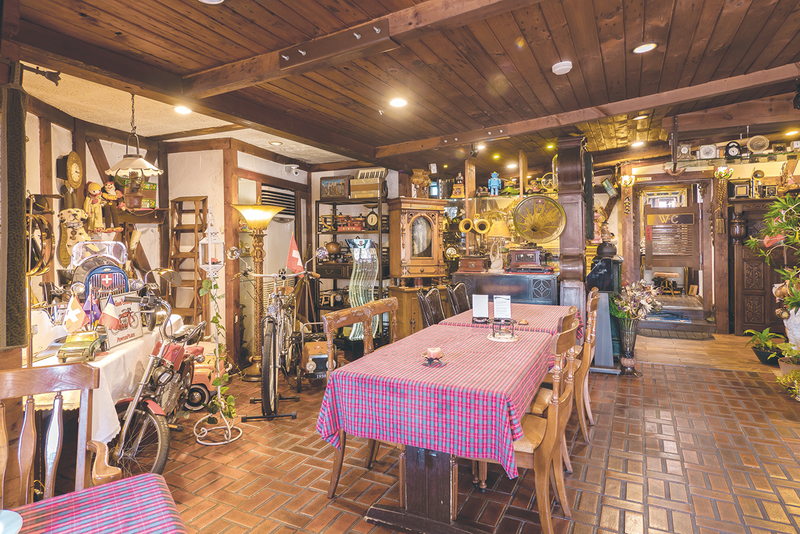 The owner lived for many years in Europe and it’s evident in the collection of vintage furniture, accessories and decorations that make the restaurant feel at once European and charming. 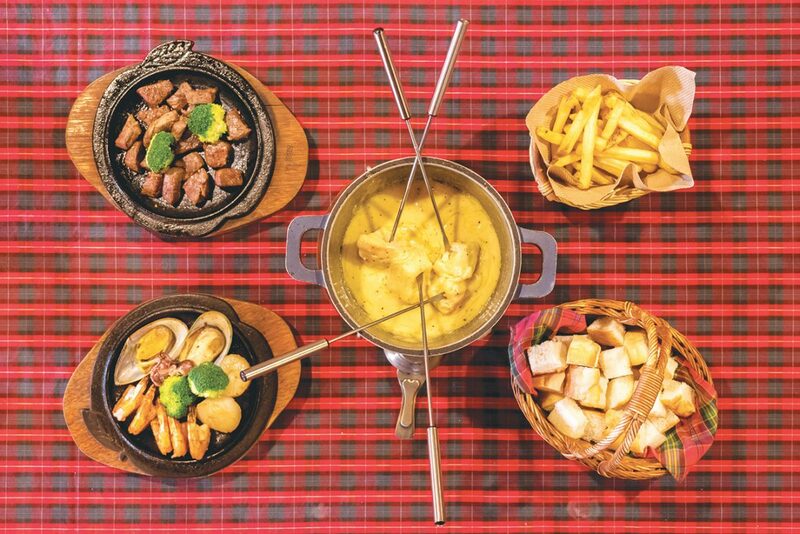 Diners can enjoy fondue meals based on cheese or oil with a choice of seafood, meat, vegetables and bread. There are other traditional Swiss dishes, including salads and pastas. If you’re a fan of cheese, make sure to try the cheese fondue. Another plus of the restaurant is that it’s located on the hill towards the Hyatt and the walk around the area is lovely, at night or day. If you want to spend a special evening out, Alt Swiss Chalet is highly recommended. 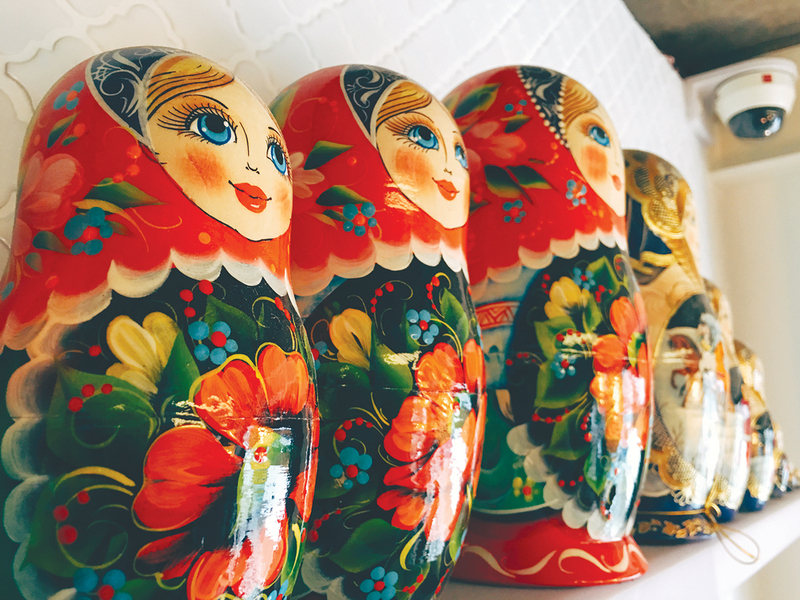 Run by a photographer and his Russian wife, Bufyet Valya combines the sophisticated design and artistic charm of Yeonnam-dong with homestyle, MSG-free flavors from Mother Russia. The menu is a bit short, but what they do, they do very well. 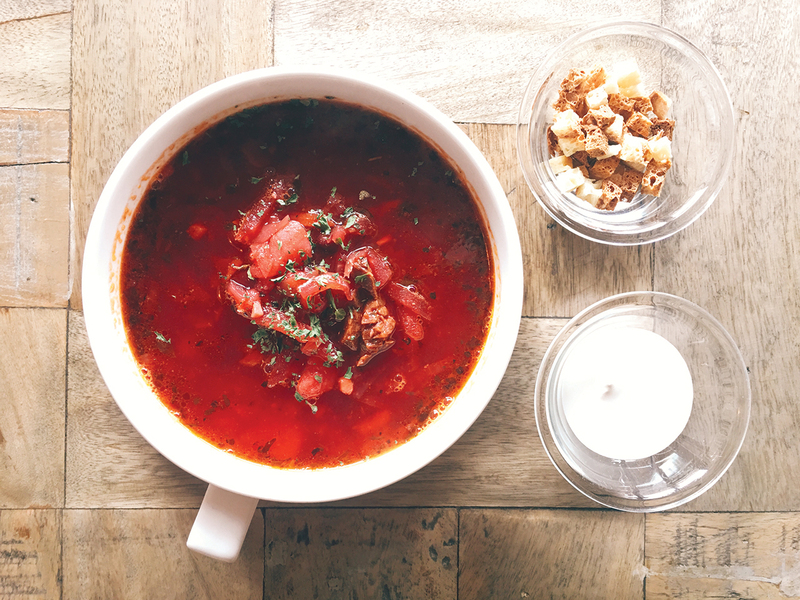 The borsht is lovely, served with a dollop of sour cream. Entrées include cheese- covered pork tenders, chicken steak, plov and pork and potato wedges, or kartoshka po domashnemu, this writer’s favorite. Complement your entrée with a plate of potato salad, chicken salad or salmon salad. Finish your meal with a delightful pancake, or blin, served with honey and whipped cream, blueberry, or chocolate and banana. 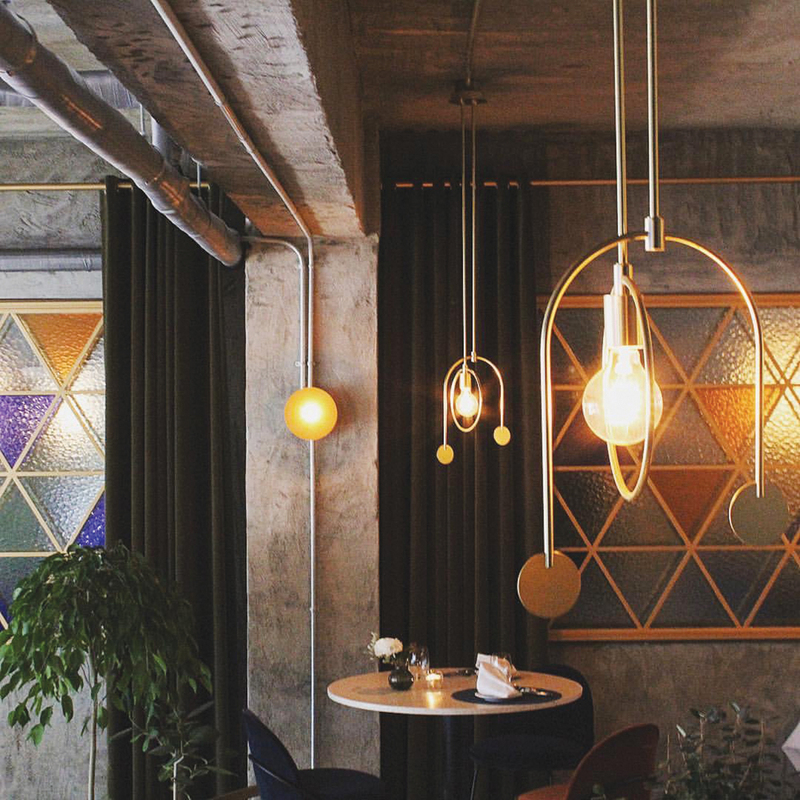 Unlike some of Seoul’s other Russian restaurants, which can be a bit gritty, Bufyet Valya is a cheerful, pleasantly designed place befitting Yeonnam-dong. 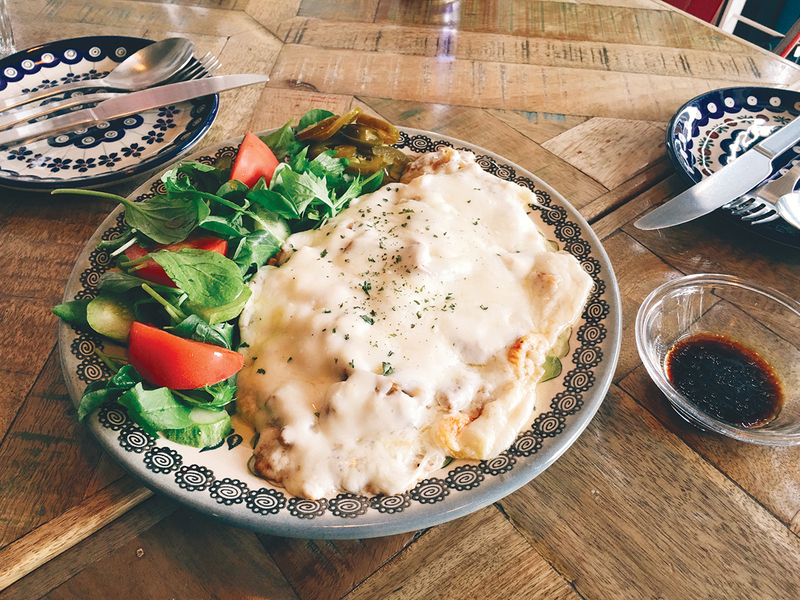 The plates and bowls are Instagram-friendly, and the owner’s stunning landscape photos adorn the walls. 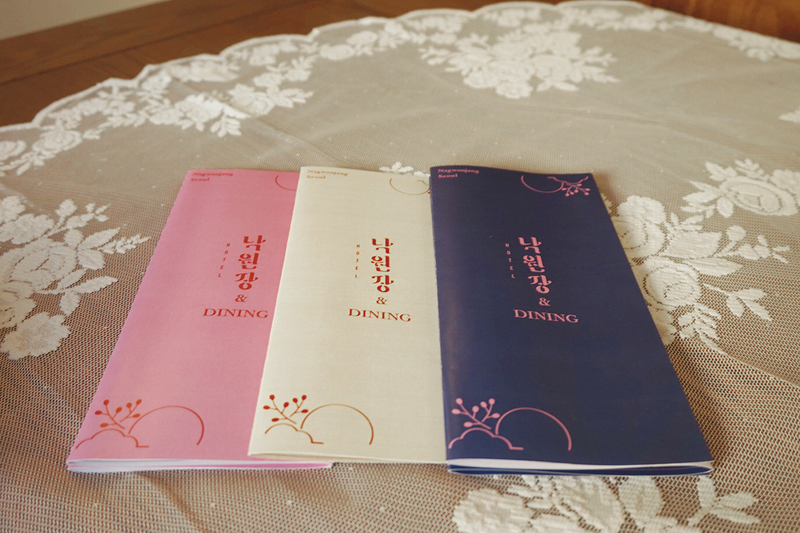 If you’re looking for a cozy and lovely spot to enjoy a delicious Christmas dinner, Nagwonjang is the perfect choice. A course meal here will only set you back KRW 25,000 and it comes with salad, soup, pasta, main dish and coffee. The tables are located in a quiet private area, perfect to enjoy conversation with your date. There’s a record – player and albums for diners to choose the musical accompaniment along with their meals. 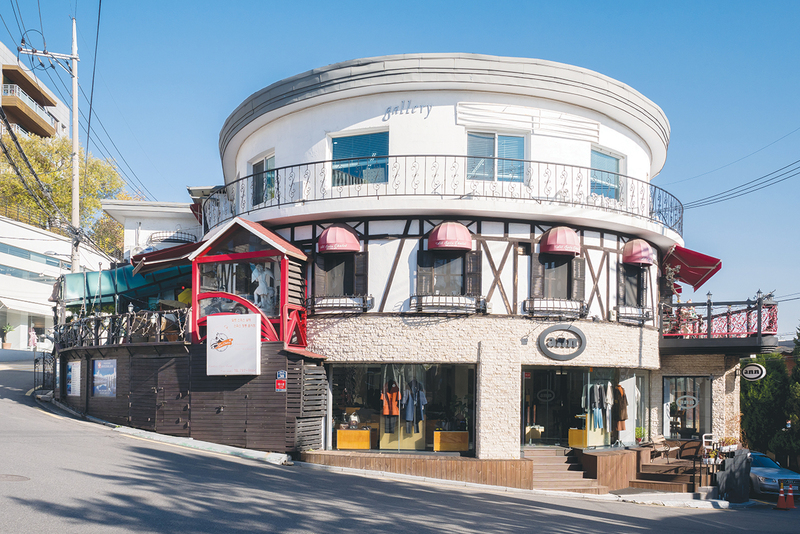 The restaurant and boutique hotel is located in charming Ikseon-dong, a historical neighborhood of narrow alleys lined by traditional Korean homes, many of which have been repurposed as cafés and eateries. The area has grown very hip over the last couple of years.